Bitter, cold; spleen and kidney meridians entered. Sores and boils, stomachache, appendicitis, mastitis, mumps, acute pharyngitis, tonsillitis, enteritis, stomatitis, bacillary dysentery, aphonia due to hot cough. Decoct 3~9 g, or made into powder, 1~2 g per time. Proper dosage is for external application, pounded for applying or puff through throat. 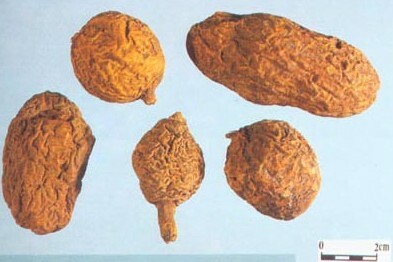 It is contraindicated for weakness of the spleen and the stomach.